George Andrews. Rhode Island. Appointed from Arizona, Cadet, United States Military Academy. 1 July 1872 (35 ) ; Commissioned as a Second Lieutenant, 25th United States Infantry, 15 June 1876; First Lieutenant, 19 February 1883; Regimental Adjutant, 17 August 1886 to 17 August 1890; Captain, 16 September 1892; Major, Adjutant General Corps, 26 February 1898; Lieutenant Colonel, Adjutant General Corps, 2 February 1901. 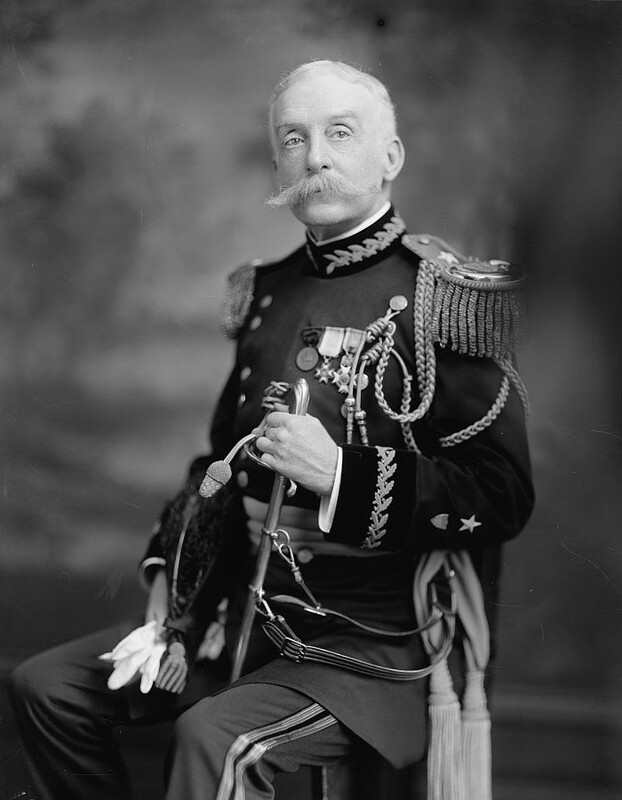 He was Adjutant General of the United States Army from 1912 to 1914. His father was George Lippitt Andrews, Brigadier General, United States Army. WASHINGTON, September 10, 1928 – Brigadier General George Andrews, retired, former Adjutant General of the Army, died at his home here today. General Andrews was born in Providence, Rhode Island, and was 78 years old. He graduated from the United States Military Academy at West Point in 1876, and, until the war with Spain, served in the Infantry branch, rising through the grades from Second Lieutenant to Major. On February 26, 1898, he was appointed Assistant Adjutant General and on August 24, 1912 became Adjutant General, continuing in that post until August 26, 1914, when he was retired. 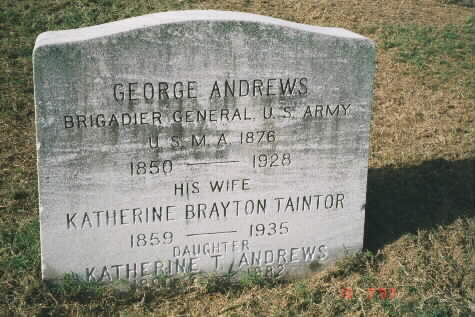 He is survived by a widow, Mrs. Katherine T. Andrews.